8+ Outstanding PSD Facebook Templates & Designs! Photoshop PSD for Facebook pages and Blank templates are easier to edit since they are vector and are completely scalable. They can be used a pictures for your presentations, Facebook page mock ups, cover photo designs, timeline photo designs etc. The layered PSD provides edit ability and flexibility to all the PSD Facebook Cover templates. PSD files can be edited on Adobe Photoshop CS+. 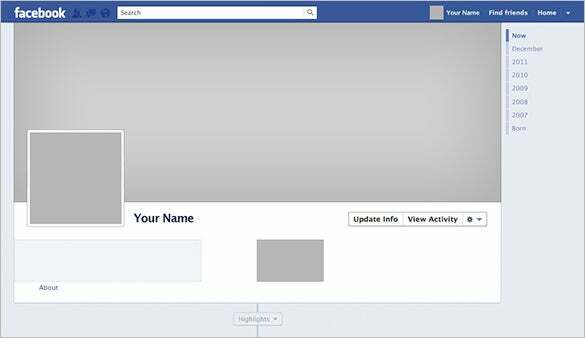 Get this PSD Facebook Template and use it for personal design. It does not come with any download restriction. All you have to do is to hit the download tab and you will have it in seconds. 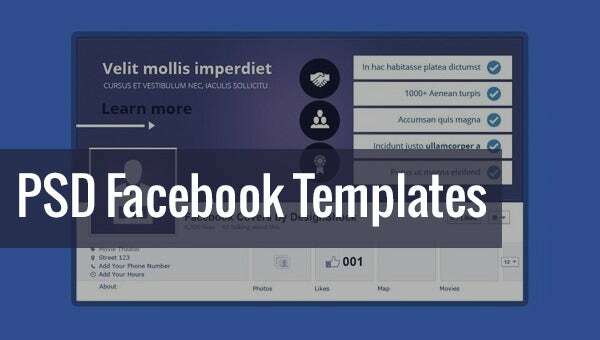 Templates help developers make their work easier, and this PSD Facebook template is a great source to draw your inspiration. Get this template and use it for your personal development guide. Developers often want to create the best Graphical User Interfaces for their website projects. Problem is they lack ideas of the best outline, but this template can be of great help on that. 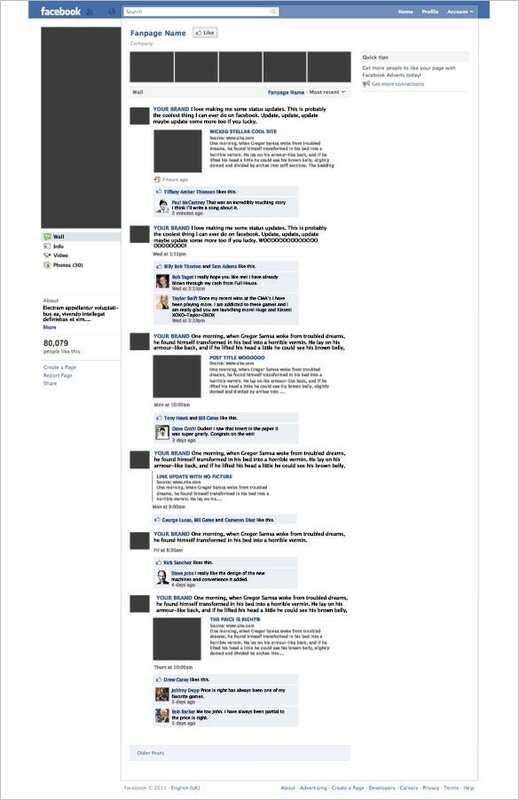 If you want some good website layout ideas, this template can do you some good. And although you might not code exactly as this, you are likely to draw a lot of inspiration from this. 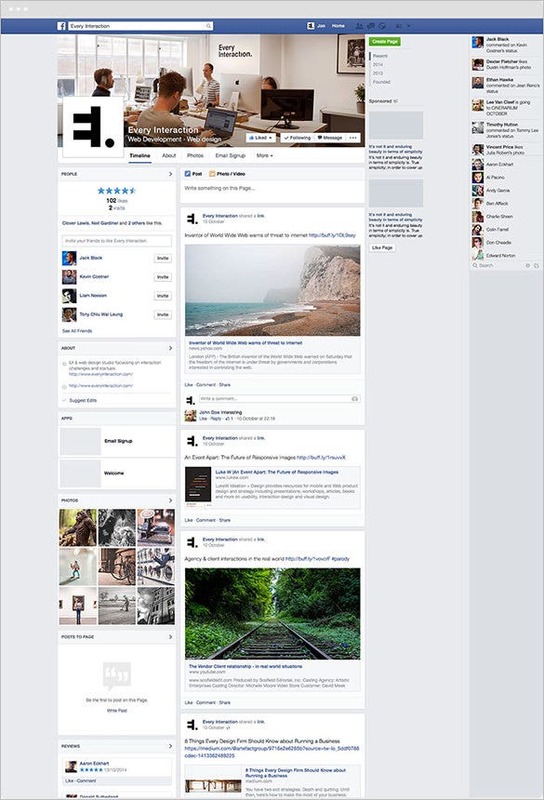 You can use tool sets and actions on the facebook template to churn out unique end results. There are PSD templates for photographers, actors, entrepreneurs, teachers and of course authors and bloggers. There are special company templates as well which have different themes that include wedding templates, cupcake templates, movie templates, blank facebook templates etc.